Kyoto Pottery, Sennyu-ji, Shunzan Gama | Shunzan-gama is a third generation pottery maker. 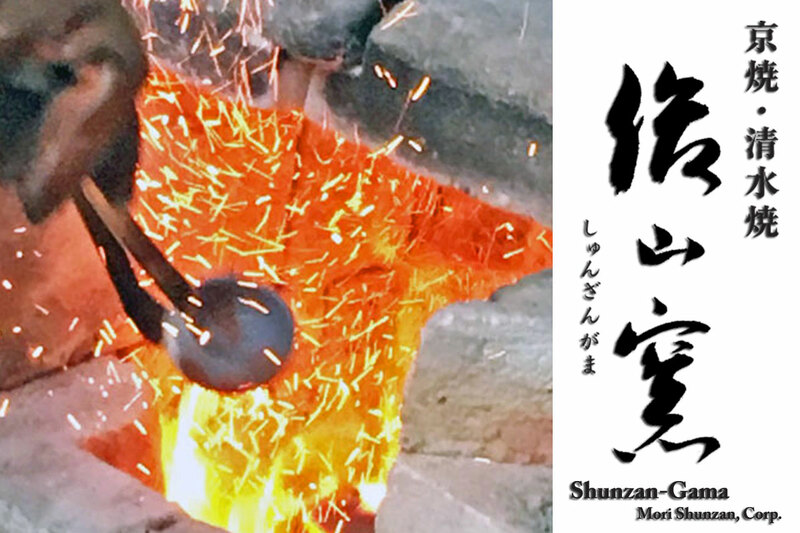 Shunzan-gama is a third generation pottery maker. We have inherited the techniques and methods of potter Ogata Kenzan (1663-1743) who was one of the greatest ceramicists. Our crafts have incorporated contemporary trends with the traditional craftsmanship. Hope our potteries that have various flowers blooming from season to season on gladden your eyes. How about visiting our studio to join our trial lessons of pottery making? We held some trial lessons:"Raku Firing", "Hand Building Project", "Wheel Throwing" and "Painting" course. You can bring the pottery home on that day (Raku Firing Course only) . There is a Showroom Wakuwaku of Shunzan kiln at the gate of Sennyu-ji in Kyoto Higashiyama. We sell a number of products with our own. Kyo-yaki and the village of Kiyomizu-yaki which continue from the Taisho early period. About 50 potteries are scattered around the Seiyoukai Hall of the Seiyoukai Cooperative Association to which the pottery and ceramic artists belong. 20 Sennyujitorincho, Kyoto Higashiyama-ku, Kyoto. 12 Sennyujitorincho, Kyoto Higashiyama-ku, Kyoto. Access : Get off at City bus Sennyu-ji way and walk 5 minutes on foot, Get off at Keihan Train or JR Nara Line or Tofukuji Station and 10 minutes on foot. Copyright © Kyoto Pottery, Sennyu-ji, Shunzan Gama All Rights Reserved. © Kyoto Pottery, Sennyu-ji, Shunzan Gama All Rights Reserved.